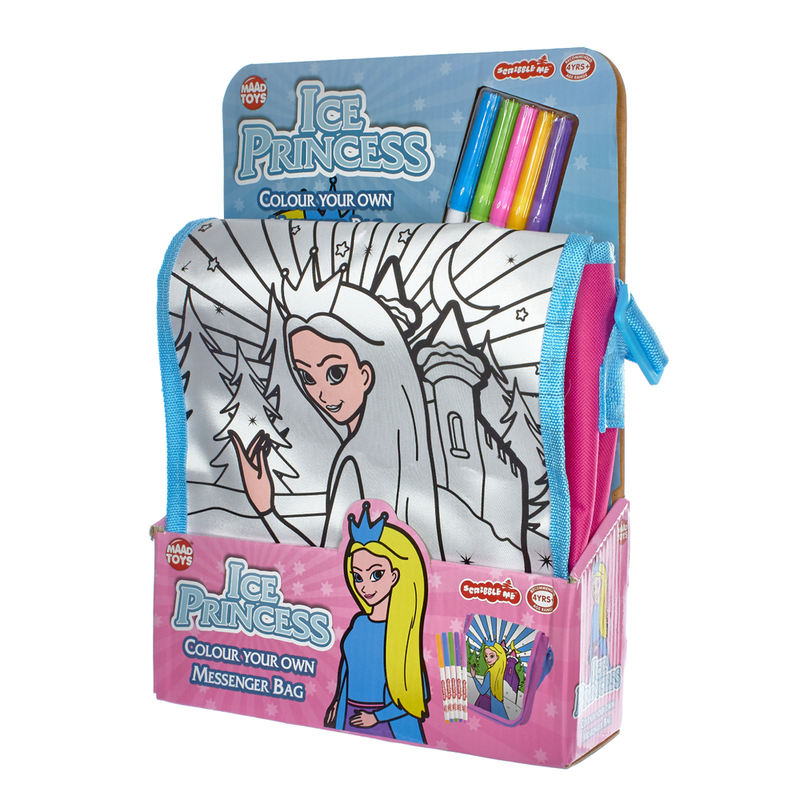 Our super cool, trend driven Ice Princess Scribble Me bag range has been developed to encourage creativity and imagination. Our bags are constructed with high quality durable fabrics and are designed to be sturdy so children can conveniently carry their belongings where ever they go. Young girls will love customising their very own Ice Princess Colour in Messenger Bag. 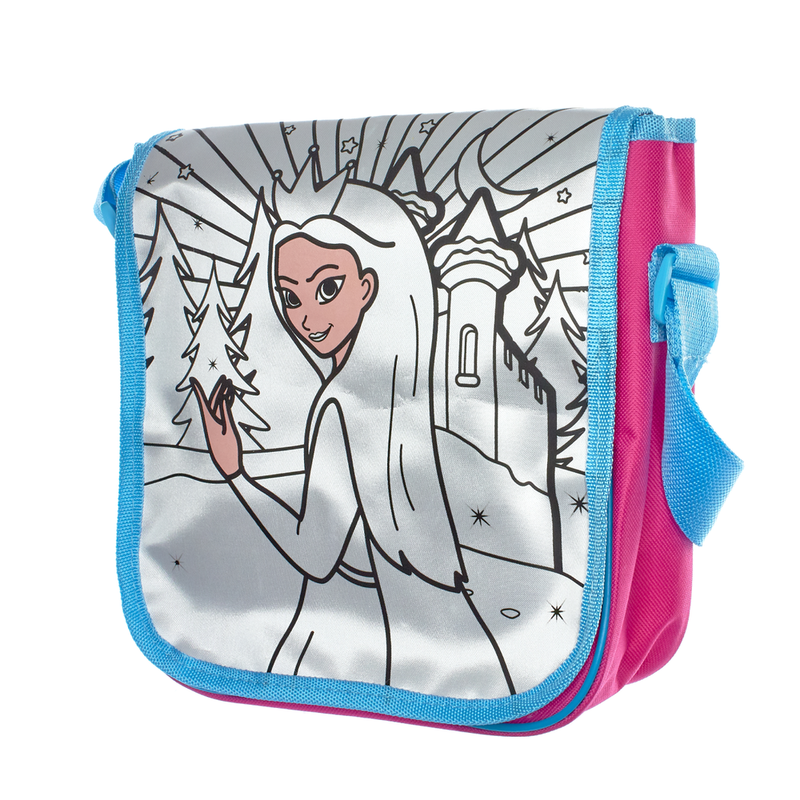 This messenger bag features a key image of Ice Princess posed in front of her magical ice castle. As our pens are permanent, we recommend children first practice in the practice area provided on the back of each gift box. Constructed from strong robust fabrics, this bag is suitable for everyday use and comes with five permanent markers to colour and customise. Young girls will love customising their very own Ice Princess Colour in Handbag. This Handbag features a key image of Ice Princess posed deep within the ice mountain forests. As our pens are permanent, we recommend children first practice in the practice area provided on the back of each gift box. Constructed from strong robust fabrics, this bag is suitable for everyday use and comes with five permanent markers to colour and customise. 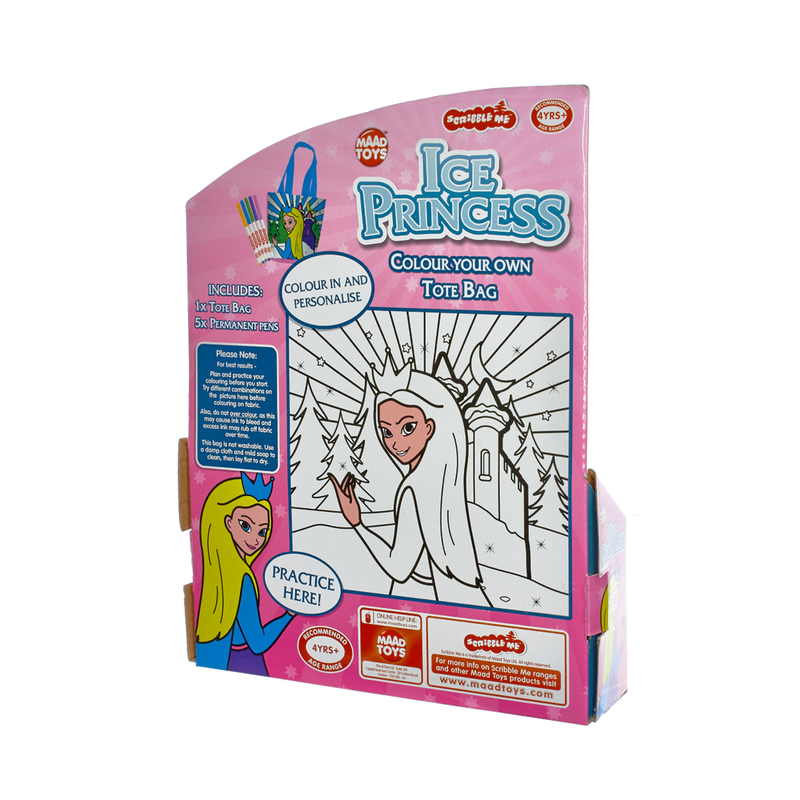 Young girls will love customising their very own Ice Princess Colour in Tote Bag. This tote bag features a key image of Ice Princess posed in front of her magical ice castle. As our pens are permanent, we recommend children first practice in the practice area provided on the back of each gift box. Constructed from strong robust fabrics, this bag is suitable for everyday use and comes with five permanent markers to colour and customise.